Wynn Law Group represent owners, contractors, subcontractors, suppliers, developers and architects in construction contract disputes, involving payment and extra work disputes, improper or inadequate construction plans, product defect, mechanic’s liens, interference in the project, scheduling issues, unknown site conditions and all other related claims or disputes. Wynn Law Group has over 20 years of litigating disputes in Southern New England – MA, RI, CT & NH. For more information contact Wynn Law Group. Wynn Law Group represents owners, contractors, subcontractors, suppliers, developers and architects in a wide range of disputes arising out of construction projects, large and small. The firm is also experienced in drafting and reviewing contracts, as well as representing contractors involved in public construction projects. Disputes regarding non-payment for contracted work –The firm will handle payment disputes involving issues such as the quality of the work, the timely completion of work, and whether the work that is in dispute was included within the contract. Disagreements regarding payment for extra work –Disputes can arise as to whether work fell within the scope of the original agreement or constituted extra work. 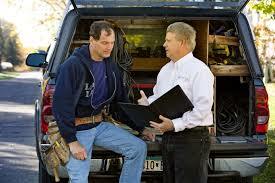 There can also be issues regarding whether the owner knew of or approved of extra work. Contested back charges –The law firm often represents parties issuing or challenging back charges related to construction projects. Work stoppages –The firm represents the interests of an owner or a contractor when disagreements result in a work stoppage. Work delays –The firm handles disputes regarding the impact of work delays on the obligations of the parties including consequential damages, liquidated damages and increased costs. The termination or breach of a contract by a contractor or an owner –The firm will represent the interests of a contractor or an owner when one of the parties has failed to perform under the terms of an agreement or when the contractor has walked off the job or the owner has locked-out the contractor. Mechanic’s Liens– The firm files mechanic’s liens on behalf of contractors and more importantly, enforces the mechanic’s liens by commencing an action in Court to foreclose the lien so that the contractor can collect the monies due. 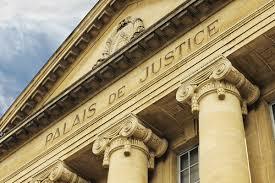 The firm also challenges and seeks to vacate improper, defective or exaggerated mechanic’s liens. For experienced representation in construction and contractor disputes, contact Wynn Law Group. Wynn Law Group counsels contractors, developers, owners and architects by drafting and reviewing their construction contracts so that their needs and requirements are met and that their interests are protected throughout the construction project and beyond. 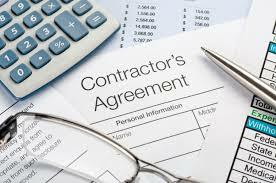 The contract should protect your interests throughout the project and after the project is completed. Wynn Law Group can draft and review the terms and conditions of your construction contract, including the scope of work, specifications, payment and completion schedules, insurance requirements, payment and performance bond issues, termination and cancellation alternatives, indemnification requirements, architectural and engineering provisions, dispute resolution methods including arbitration, mediation and litigation, and many other important details. The goal in drafting the contract is not only to protect your interests, but also to avoid any disputes between the parties and the costs to you in resolving those disputes. 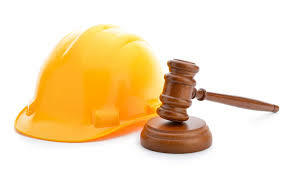 However, if a construction dispute is encountered, such as breach of contract and/or termination of the contract, non-payment for contracted or extra work, back charges, work stoppages and delays, Wynn Law Group can help negotiate an amicable resolution of the dispute, help draft, serve, file, and enforce a mechanic’s lien on your behalf, or enforce your contract through arbitration, mediation or litigation. For experienced representation with your construction contract, contact Wynn Law Group to review your contract.